Description Odometer is 23531 miles below market average! Leather, Heated and Cooled Seats, Navigation, 20' Wheels!, Backup Camera, Remote Start, ONE OWNER, LOW MILES!! !, 10 Beats Premium Speakers w/Subwoofer, 3.07 Rear Axle Ratio, 3-Mode Electronic Stability Control, 552 Watt Amplifier, Anti-Lock 4-Wheel Disc HD Brakes, Auto Adjust In Reverse Exterior Mirrors, Auto-Dimming Exterior Driver Mirror, Beats Audio Group, Body Color Exterior Mirrors, Dodge Performance Pages, Driver & Passenger Lower LED Lamps, Driver Confidence Group, Exterior Mirrors Courtesy Lamps, Exterior Mirrors w/Heating Element, Front dual zone A/C, Front Overhead LED Lighting, Heated 2nd Row Seats, High Speed Engine Controller, Illuminated Rear Cupholders, Matte Black Grille-Matte Black Xhairs, Navigation System, ParkSense Rear Park Assist System, ParkView Rear Back-Up Camera, Performance Suede/Leather Seats, Power Adjustable Pedals w/Memory, Power Driver/Passenger 4-Way Lumbar Adjust, Power Front Driver/Passenger Seats, Power Heated Memory Mirrors w/Man F/Away, Power Heated Mirrors w/Man F/Away, Power Sunroof, Power Tilt/Telescope Steering Column, Quick Order Package 29R Road/Track, R/T Heritage Badge, Radio/Driver Seat/Mirrors Memory, Rear Seat Armrest w/Storage Cupholder, Remote keyless entry, Road/Track Performance Group, Sport Suspension, Steering wheel mounted audio controls, Super Track Pak, Ventilated Front Seats, Wheels & Tunes Group, Wheels: 20 x 8.0 Polished/Painted Aluminum. Do not miss your chance to SAVE HUGE $$ on quality PRE-OWNED Vehicles at Greenville Chrysler Jeep Dodge Ram Fiat!! 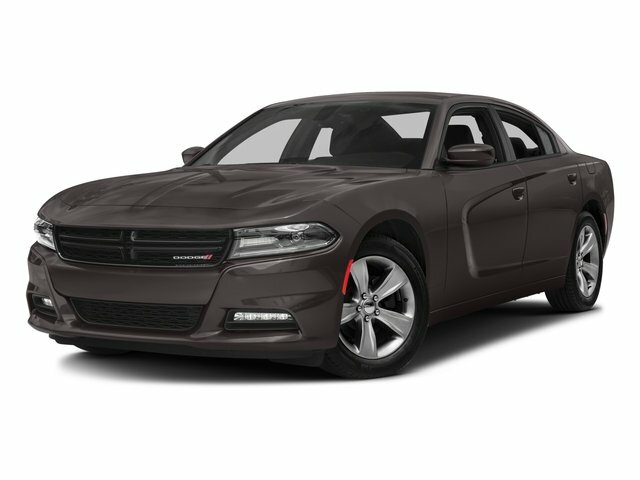 Pitch Black 2015 Dodge Charger RWD 8-Speed Automatic HEMI 5.7L V8 Multi Displacement VVT CARFAX One-Owner.